All three of the Home Makeover games on Google Play received over a million downloads, without significant marketing budgets. Why are these Hidden Object games so much more popular than others? We think this is mainly because of the “meta-game” mechanism. First of all, who is our audience? The majority of players who enjoy Tamalaki games are women over 30. They are “casual gamers” who do not enjoy games that rely heavily on finger dexterity or reflexes, but would rather relax with a puzzle game that challenges and trains their brain, or in this case, their vision. The games are developed in cooperation with OriGaming Media from Indonesia. 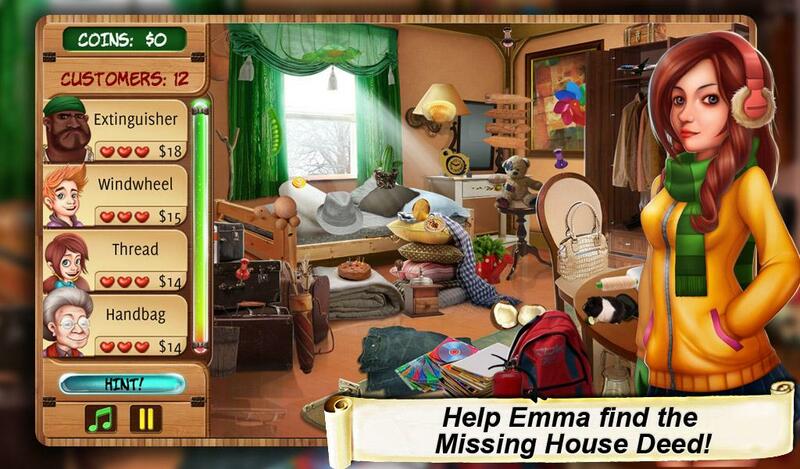 The core gameplay is Hidden Object, but the main objective of the game is to decorate several rooms in the house of Emma’s grandmother with new furniture. Players can earn the money they need by playing the hidden object levels. This stimulates people to play and replay more levels, until they collected all possible furniture options. There is no level map, but levels appear at random, generated from one of the 12 different backgrounds and 10 different gameplay modes. Some players just keep on playing and email us with a question about level 352! We started this type of gameplay in November 2013. 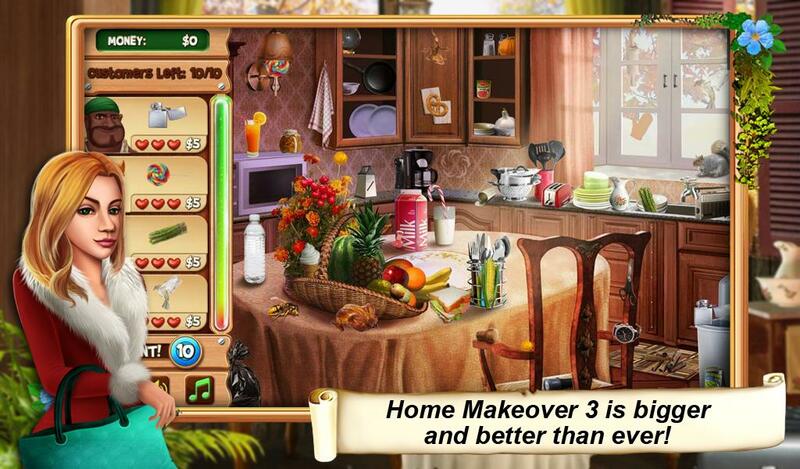 We listened to user feedback and added more options, mini games and rooms in Home Makeover 2, which was released in January 2014. The big splash was Home Makeover 3, launched in November 2014. Since most bad reviews of the previous games were about crashes, we made the game more stable by completely rebuilding the engine completely. Design-wise, we changed a lot too. By adding an energy system and quests, we turned the series into a true Free to Play game. We provided players with more content to enjoy, without restricting any options for the non-paying player. Since our revenue model for these games is mainly leaning on in-game advertising, the amount of time the players spend in our games is very important. We have to keep the game interesting for players as long as possible. With all 3 games scoring 4 stars or more, I think we can say our players are happy with that model too! The series so far brought in more than $300,000 in gross revenue and is not slowing down. Home Makeover 3, now 9 months after release and with only minor content updates, is still making about 80% of the revenue it made in the release month. Not bad for a single player experience! Plans for the future? Home Makeover 4 is currently in development and will be released before the end of 2015. As a premiere in the series this game will offer light social features. However, our main focus is still to offer the player what they loved so much in the previous games; an optimized “endless” single-player experience. Martine Spaans is founder and owner of Tamalaki Games; a publishing label for casual puzzle/hidden object games on Mobile.